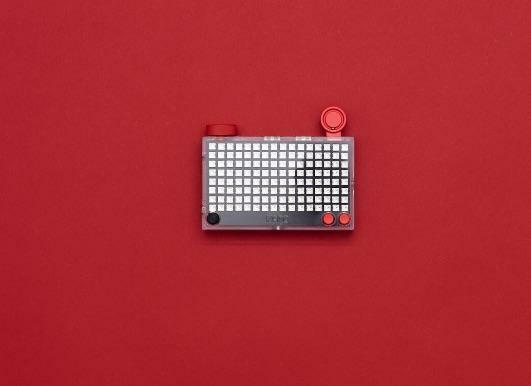 Kano first came onto the scene in 2013 with a do-it-yourself computer kit that was designed to teach kids (and adults) the basics of coding, making the entire process as easy as building a Lego set. 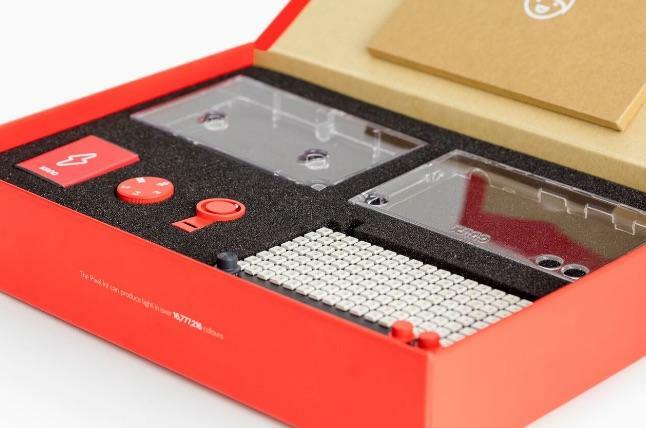 The original computer raised over $1.5 million on Kickstarter and since then the company’s released several new models, including a DIY screen kit. 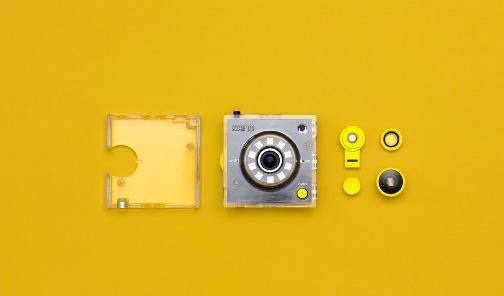 Now the company is back with three totally new products: a camera, a speaker and a pixelated lightboard. 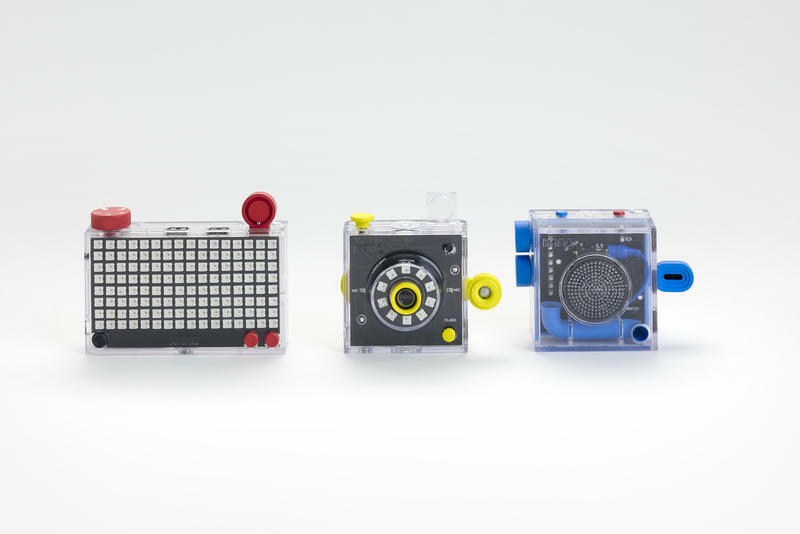 All three take the same approach as the original Kano, walking you through the assembly process, teaching you how to code it, and then setting you free to experiment with your new gadget. 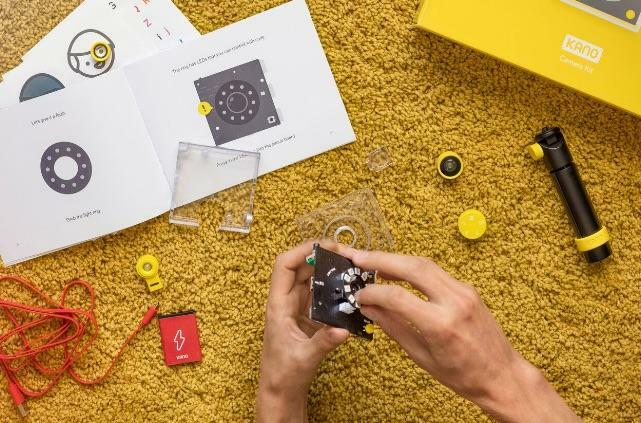 Each new kit is also beautifully designed, with a transparent plastic frame that shows the technology underneath and brightly colored components. 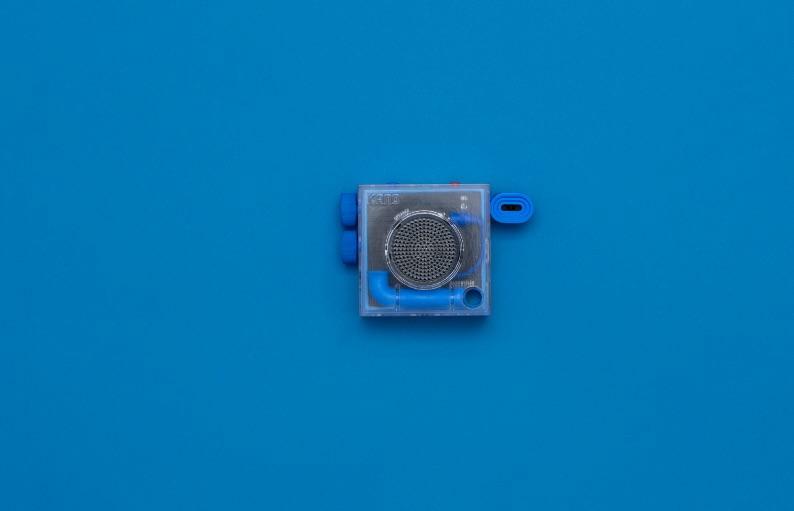 Personally, I’m most excited by the speaker. 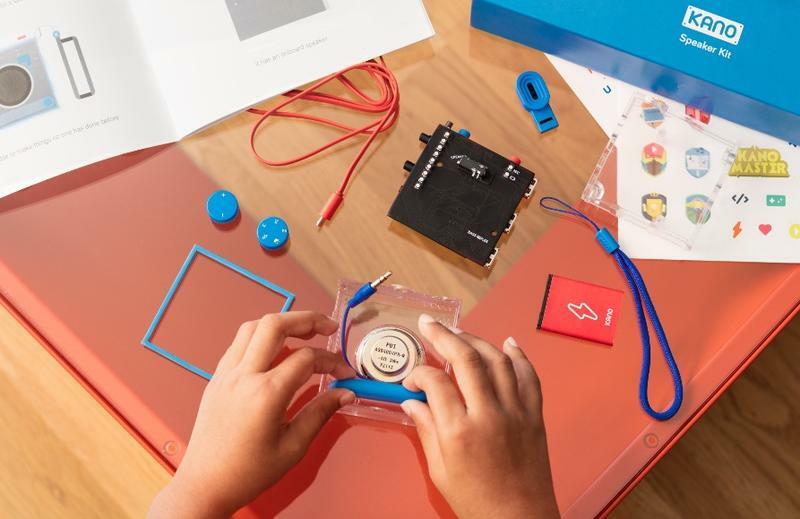 Probably, because I’m already obsessed with Bluetooth speakers and the possibility of building one myself and then coding it to do different things sounds incredible. 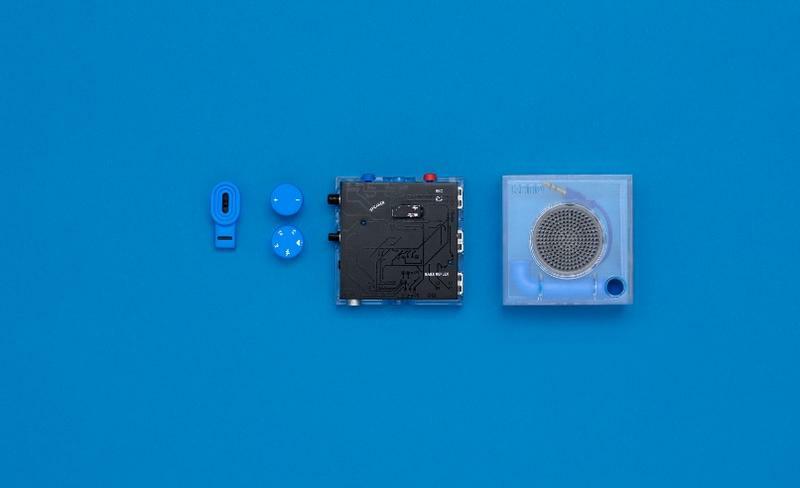 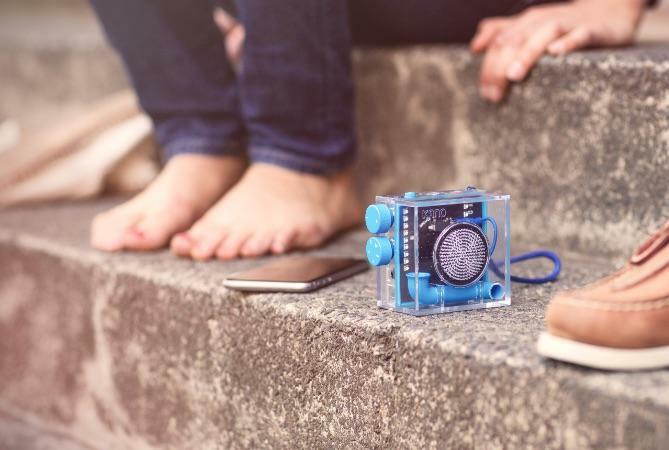 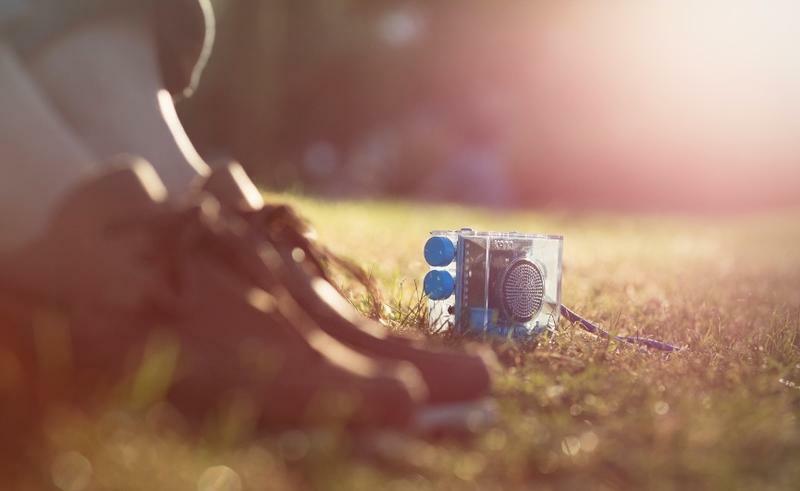 You can use this little blue speaker to stream music from your phone, but a bit of computer code opens up endless possibilities. 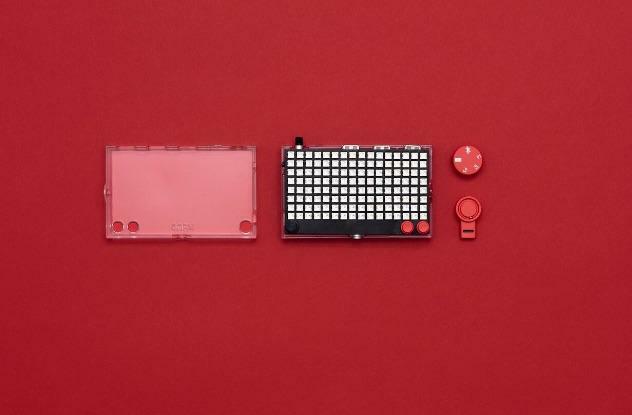 Kano’s coding software includes options to turn the speaker into a voice modifier so you can talk like Darth Vader and a Garage Band-style interface for creating your own music. 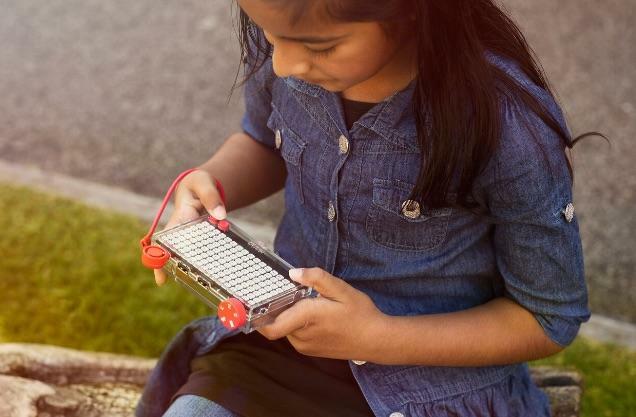 It even comes with a small drum pad for tapping out beats and a gesture sensor that can turn the speaker into an instrument on its own. 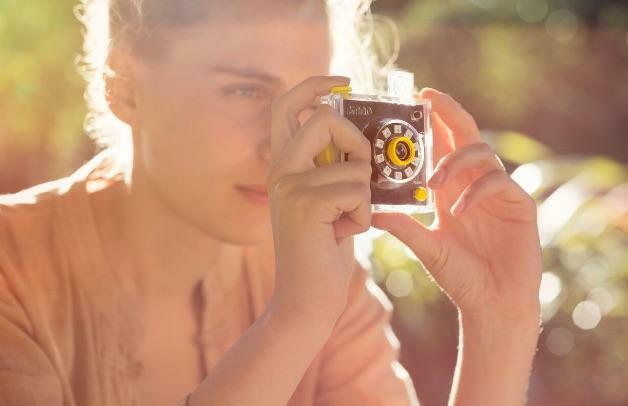 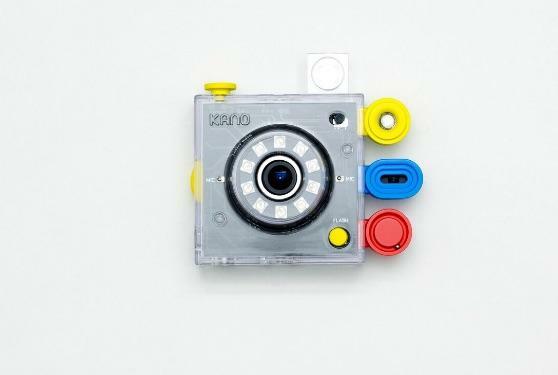 Kano’s camera also looks pretty neat. 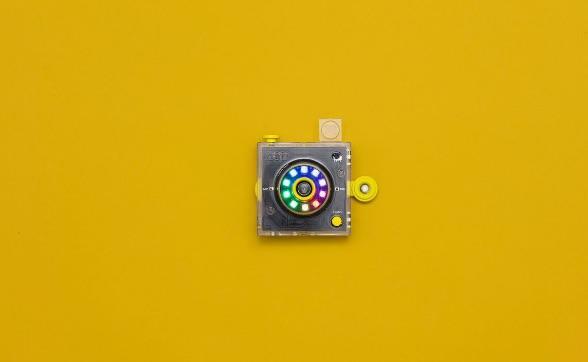 The included 5-megapixel sensor probably won’t take the most stunning photos, but it’s a great way to learn about the camera modules packed into smartphones and other devices. 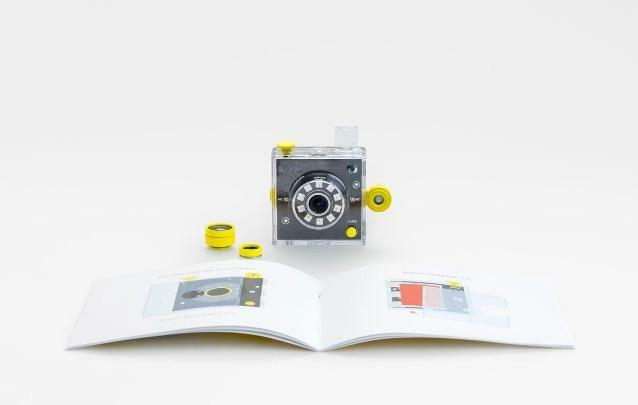 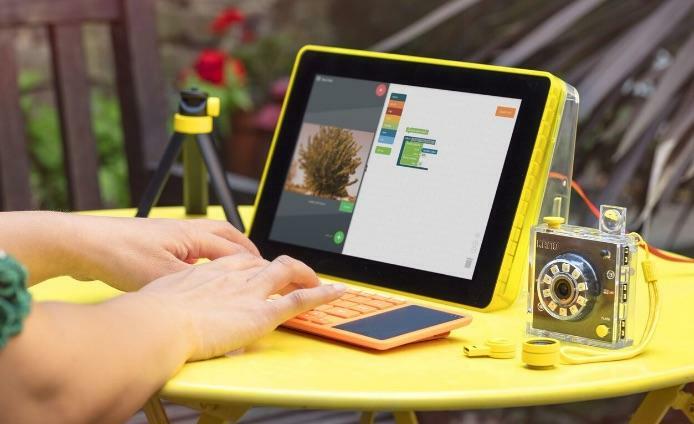 You can also code your own picture filters, flash options and other extras using Kano’s software. 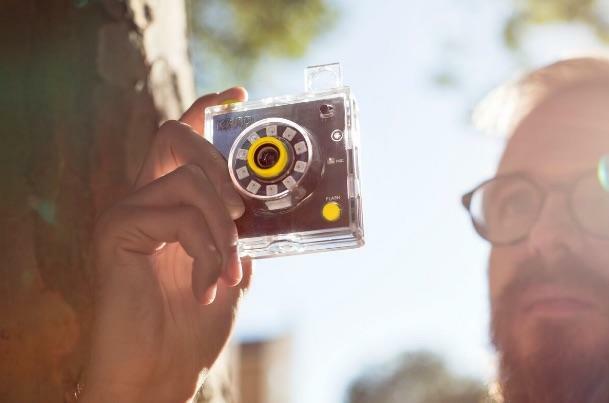 It comes with a special Tripwire sensor too, so you can set it up to covertly snap a photo whenever someone walks by. 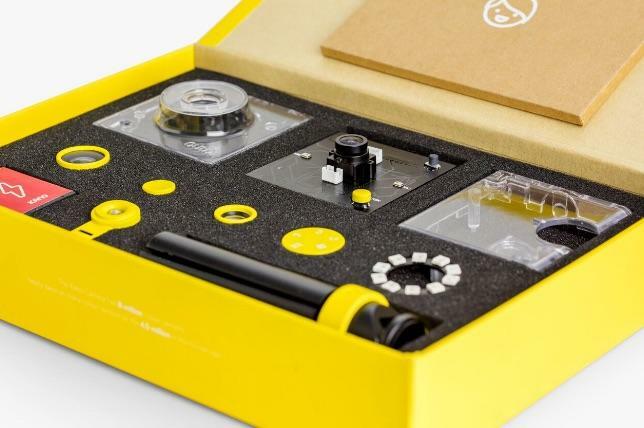 Finally, there’s a small lightboard called the Pixel kit. 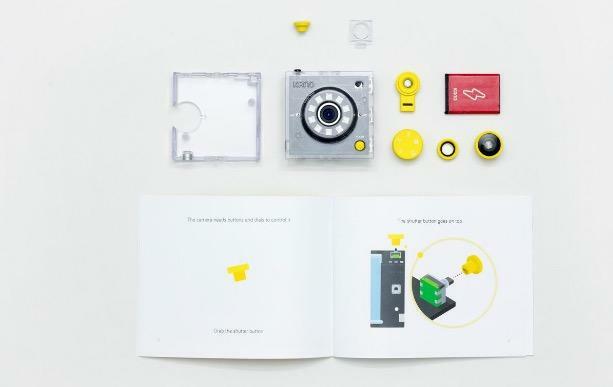 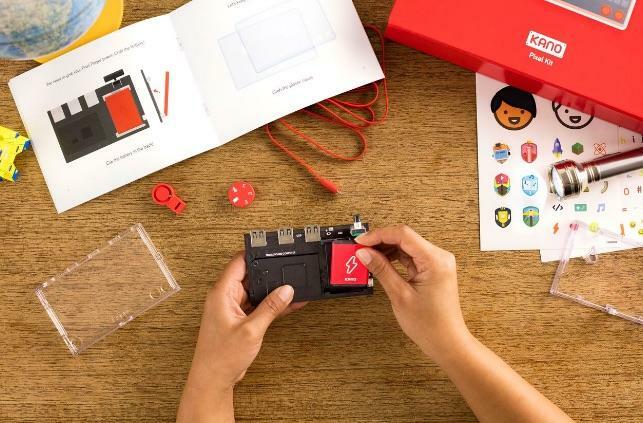 Once it’s assembled you can code it to create art and patterns or pick from a list of pre-designed games and play them using an attachable tilt sensor. 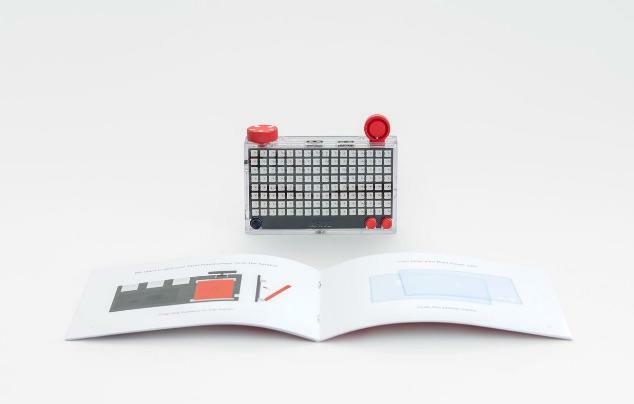 You can also program Pixel to show the time, sports scores or anything else you like. 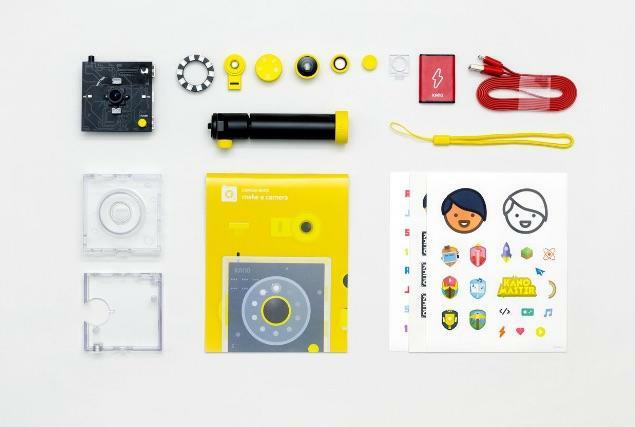 Like with all of Kano’s products, the only real limit is your own imagination. 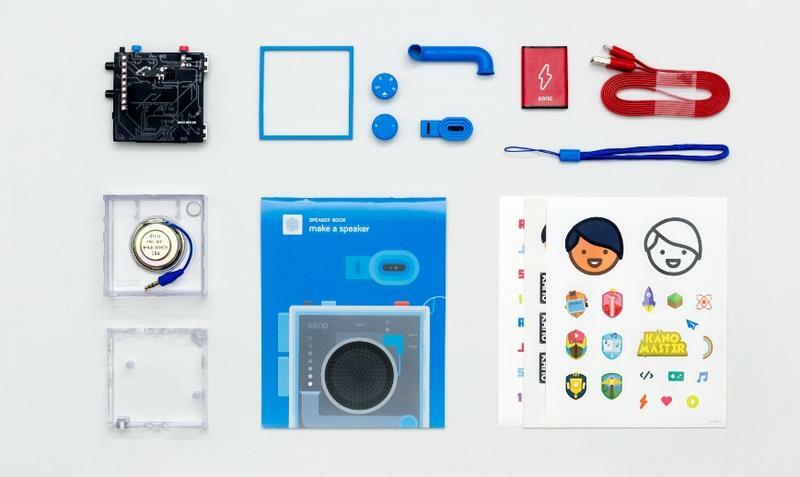 Each new kit is available on Kickstarter for $99 (Kano plans to charge $129 at retail). 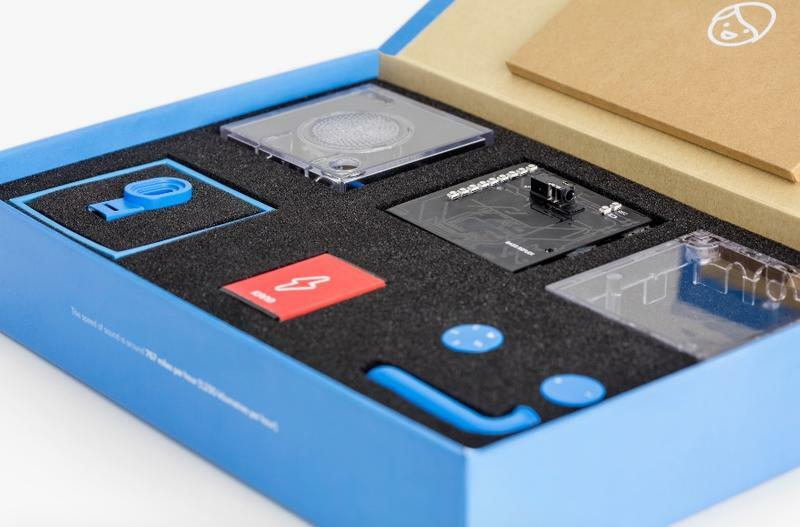 The Pixel kit will be first to ship, starting in March 2017. 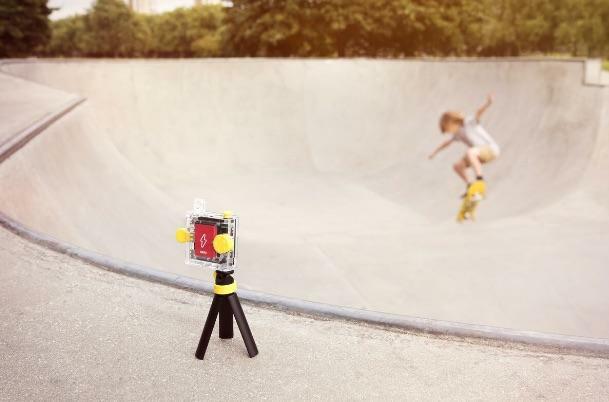 After that, the camera should arrive in May followed by the speaker in June. 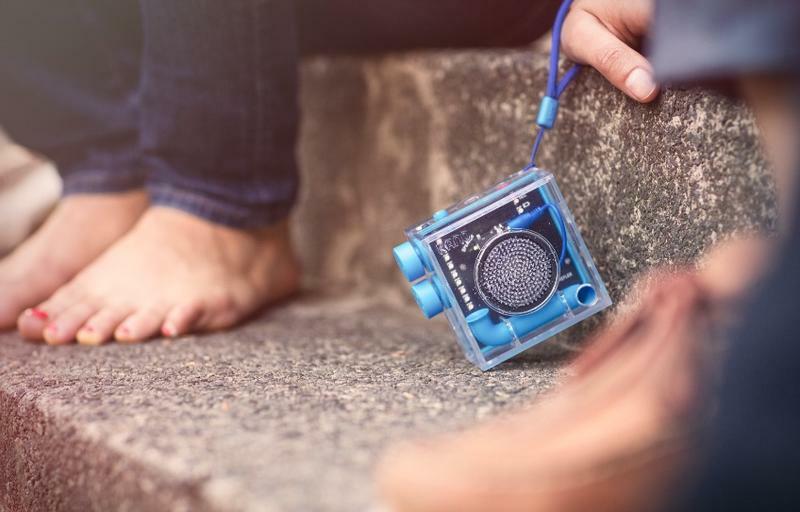 If you want to get your hands on these new gadgets even sooner you can pre-order all three for just $249 and they should arrive in January 2017. 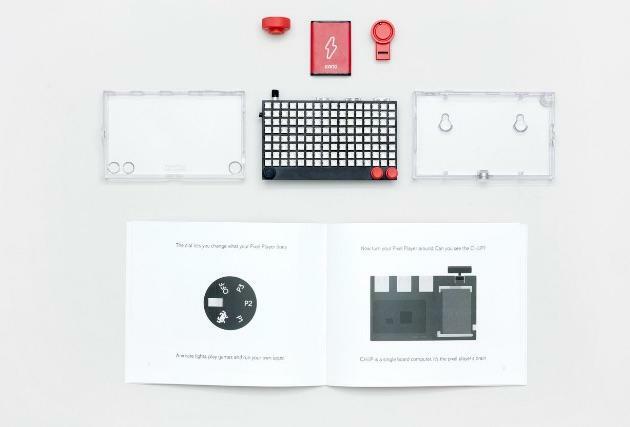 Delays are always possible on Kickstarter, but Kano’s been doing this for years so you’re not taking much of a risk with this one.